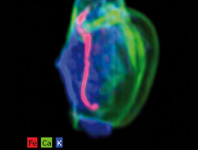 The Bruker M4 TORNADO rapidly measures composition and element distribution, generating a wealth of information. The micro-XRF instrument of choice for research in materials science, forensics, archeometry and microelectronics, including catalysis, failure analysis, corrosion research and failure analysis. Perform material testing, quality control, layer system analysis, toxic element screening and many other analytical tasks. A large vacuum sample chamber supports light element detection. 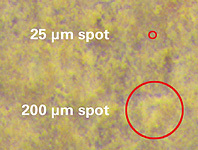 Spot sizes down to 25 µm provide excellent spatial resolution. Larger spot sizes up to 200 µm are now also available with the new FlexiSpot feature, for analysing inhomogenous materials. Read a lab report about the M4 TORNADO’s performance in important measurement parameters. 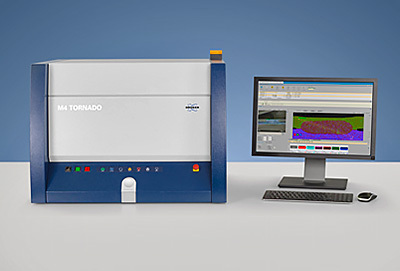 Customise the M4 TORNADO for extended measurement ranges and even faster analysis speeds. Adding a second tube with a different target and collimator enhances flexibility. For the fastest analysis speeds, add a second SD detector. Contact us on +44 (0)1223 422 269 or info@blue-scientific.com for advice and quotes. 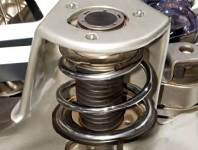 Low-alloy steel is highly sensitive to corrosion. Parts and structures made of this steel are often protected by a Zn or a ZnAl coating. 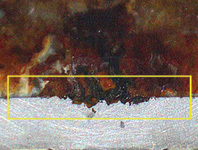 Analyse treated steel samples and examine elemental distribution for a better understanding of corrosion processes and how to reduce corrosion. 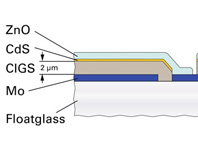 Measure thin film solar cells both in air and under vacuum. 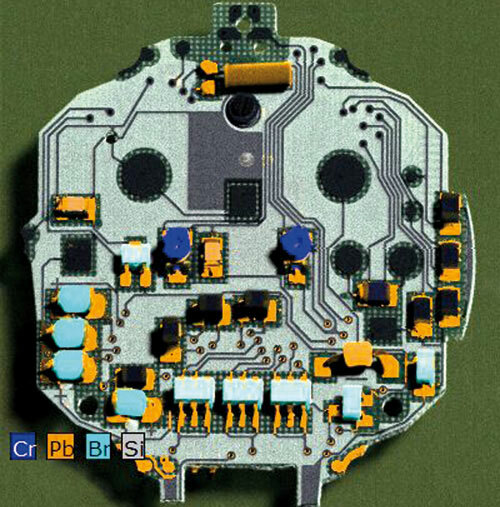 Micro XRF can be used in-line during manufacturing as well as for final product testing. Analyse coatings on many different substrates – including metal finishes, functional coating and decorative layers. Both thickness and composition of layers can be determined, even in complicated multi-layer systems. Examine layer systems such as paint, extremely small material fragments and gunshot residues. 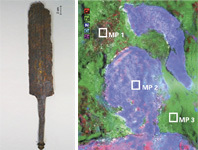 The M4 TORNADO is also ideal for non-destructive analysis of documents and small works of art, for example for authentication. Analyse the chemical composition of small particles to determine their origin. For example, analyse wear debris in engine oil to highlight components causing abrasion. Particles in plastics influence the performance of the material and are typically caused by contamination, from the manufacturing machinery or environment. Detect substances imposing environmental and health hazards. Determine compliance with the Restriction of the Use of Hazardous Substances regulation. The M4 TORNADO can determine heavy metal and other harmful element content, even in the ppm range. Qualitative analysis of single points and examination of element distributions for various sample types, including electronic components, toys and consumer products. The high excitation efficiency of the M4 TORNADO quickly screens and detects even the smallest traces. Examine the metabolism of biological samples for valuable information about environmental conditions, health and diseases. Analyse the distribution of essential elements in plants and in animal organs with high spatial resolution and sensitivity. 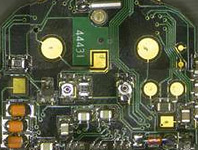 Fast data acquisition enables sensitive samples to be screened without causing damage. The large sample stage of the M4 TORNADO is perfect for analysing geological samples. 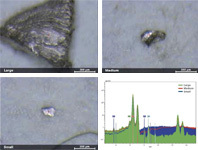 Phase analyses and searches for trace elements can be performed easily, to study geological processes such as rock formation or to assess ores for mineral content. The software features a wealth of useful options for analysis and data representation. The new FlexiSpot feature adds the option of a larger spot size, up to 200 µm, for more precise quantification of inhomogenous and uneven samples, including irregular shapes, powders and granular samples. 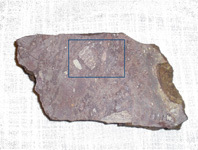 Data is collected from a larger area, still at high resolution, for more a more accurate representation of the material’s composition.